Brazilian 'Celebrity' Plastic Surgeon Arrested After Patient's Death Denis Cesar Barros Furtado, known as "Dr. Bumbum" had been on the run for five days when police arrested him in Rio. A patient of his suddenly fell ill and died following a procedure on her buttocks. 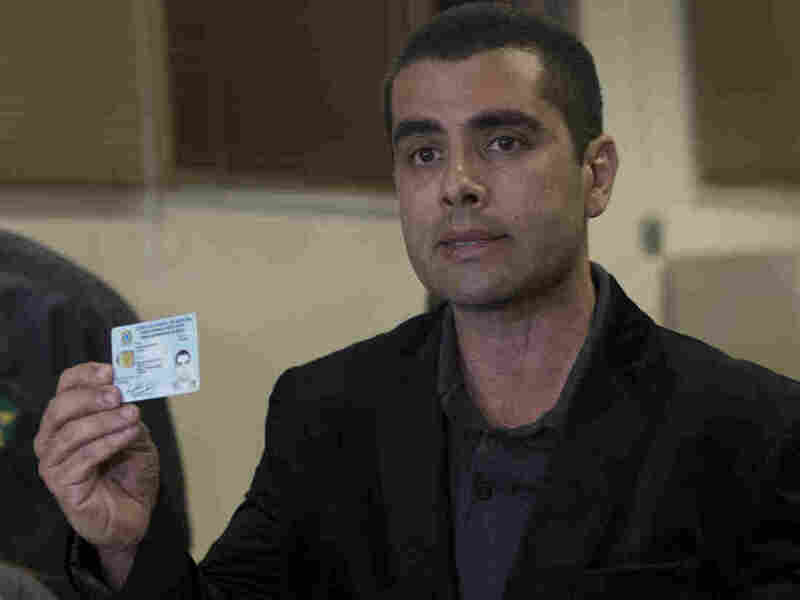 Brazilian surgeon Dr. Denis Cesar Barros Furtado shows his doctors license as he speaks to the media at the police department after his arrest in Rio de Janeiro, Brazil, on Thursday. She reportedly fell ill while Furtado was giving Calixto injections in her buttocks. Furtado then rushed her to the hospital, but he then disappeared, according to authorities. The Independent quotes local media as saying Calixto arrived at the hospital "with tachycardia, an abnormally fast heart rate, after having silicone injected into each buttock. The procedure is also believed to involve the injection of acrylic glass filler." Following his arrest, Furtado, 45, proclaimed his innocence to reporters, according to The Associated Press, saying "There was an occurrence with the patient." Furtado's lawyer, Naiara Baldanza said in a statement "any conclusion regarding the death of Lilian Calixto and my client's responsibility in this fatality is premature," according to the AP. The Independent notes, "In a video posted on Instagram – where he has more than 600,000 followers – after his arrest on Thursday, Furtado said the woman's death was an accident and that he had performed 9,000 such procedures – which are legal in Brazil." In an interview with Agence France-Presse published by the BBC, Niveo Steffen, the president of the Regional Medical Council of the State of Rio de Janeiro, decried a "growing invasion of non-specialists" in plastic surgery in Brazil. "You cannot perform plastic surgery inside an apartment," Steffen said. "Many people are selling a dream, a fantasy to patients in an unethical way and people, weakened, are often attracted to low prices, without considering whether or not the conditions are adequate," he told the news agency.